Choose the right UART Premium Sanded Pastel Paper for your needs and maximize your use of our pastel surface for a masterpiece that lasts. I’ve been using another brand of pastel paper for years. How does UART Premium Pastel Paper compare? The most common feedback we receive from artists who have switched to our art paper is that they agree both the tooth and the consistency of UART are miles ahead of other pastel papers. Unlike other manufacturers, UART employs a state-of-the-art manufacturing process that ensures a consistent grain application on every inch of the paper. In addition, our paper allows for seamless blending while reducing flaking, maintaining the look of your pastel. While UART is of the highest-quality pastel papers, it’s also incredibly affordable, rivaling lesser quality papers in terms of value. What types of media does UART accept? What is so impressive about UART sanded paper is its flexibility. While our art paper is mostly used for soft and hard pastels, it’s also ideal for charcoal, colored pencil, graphite, watercolor, and Conté. In addition, the texture and consistency of UART pastel paper accepts water, oil, alcohol, or other liquids for underpainting without the side effects associated with other sanded papers. This is my first time using UART. What paper grade should I start with? We recommend our 400 grade – a favorite of artists and an art paper of moderate tooth. Once you begin to paint with UART, you can determine if you require a rougher or finer tooth to fit your style, medium and technique. We suggest our lower grades (240-320) for artists who like to layer and higher grades (400-800) for those whose work is more delicate. Whatever paper grade you choose, you can trust that UART sanded art paper will complement your inspiration and maintain your work’s integrity in the long run. I know UART sanded paper can handle underpainting, but how can I maximize its effectiveness? With its sturdiness, thickness and grade, UART can manage traditional underpainting without any adverse side effects. However, for additional peace-of-mind when underpainting, we suggest purchasing our mounted pastel boards or mounting the sanded art paper yourself before applying liquid media. The paper will wave if left unmounted. For more information about underpainting techniques on UART, please check out our videos page. How do I mount UART sanded paper? Any grade and size of UART paper can be purchased pre-mounted on illustration board at a price that’s competitive with any other professionally-mounted pieces. However, if you prefer to mount the paper yourself, we suggest using Grafix Double Tack Mounting Film. It is also acid free and comes in 9″x12″, 18″24″ & 24″x36″ sheets. UART paper does NOT require any fixatives. One of the biggest advantage of using our sanded pastel paper is that almost all the pastel material stays on the paper. The sanded surface allows for maximum “absorption” and leaves very minimum material waste. 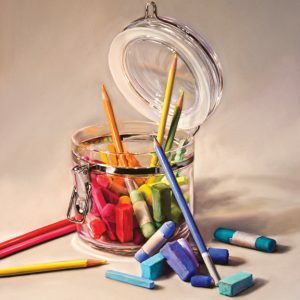 We do recommend to frame your painting with a spacer between your artwork and the glass. Can I order UART art paper online? Yes, you can. Our paper is available to purchase through our retailers’ stores as well as through Amazon.com.